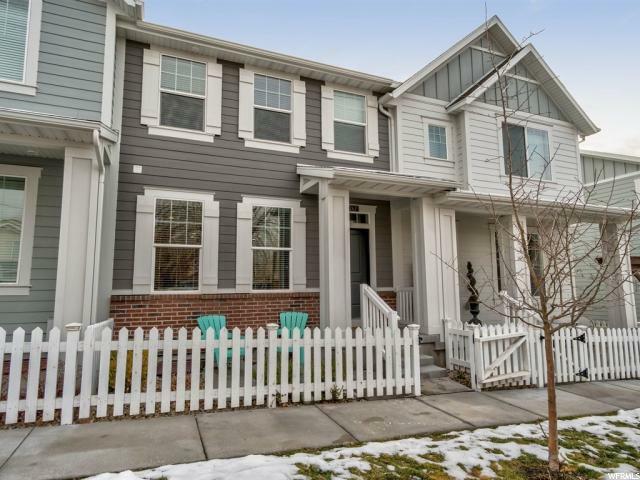 All CHESHAM VILLAGE homes currently listed for sale in North Salt Lake as of 04/21/2019 are shown below. You can change the search criteria at any time by pressing the 'Change Search' button below. "SUBDIVISION IS SOLD OUT. Get this BEAUTIFUL Townhome in the highly coveted Chesham Village Subdivision! 9' ceilings on the main floor & basement. 2-car garage, professionally chosen interior paint and upgraded options! The open space family/kitchen main floor makes this townhome seem huge! Granite countertop in the kitchen, high grade laminate flooring entire main level, Level 2 tile & carpet, 2 inch blinds on windows. HOA covers full yard landscaping, pool and with separate showers and restrooms for guests. Give us a call for a private showing! "